The Ability to Run Multiple Android apps Simultaneously. 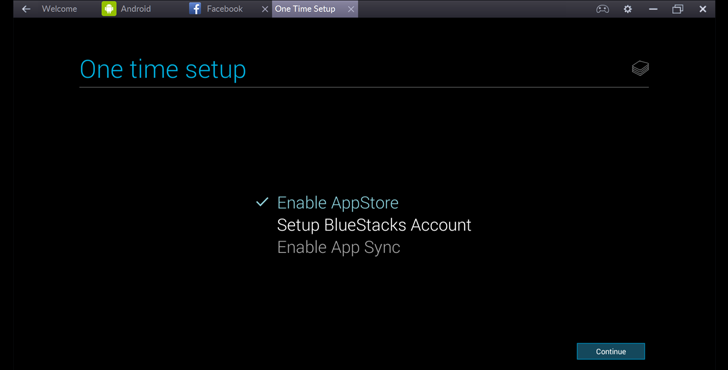 Bluestacks previously only run a single app at a time. However, with the launch of BlueStacks 2, the app adds a tabbed interface that allows you to jump between multiple Android apps in the same window. This is great for you to run gaming and messaging apps, or news and messaging apps at the same time. The update also adds a toolbar that allows you to quickly tell the Android emulator to simulate rotating the device screen or to perform other functions, such as copying and pasting. In BlueStacks 2, players now have options to marry gameplay and app discovery, meaning when they click an advertisement, a new tab will appear so that the players can continue playing their games without being interrupted. BlueStacks 2 is currently available only on Windows, but will soon debut on Macs in July. 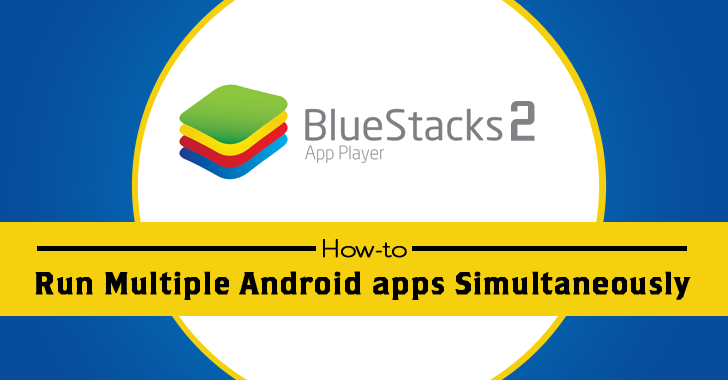 Step 1: To use and run multiple Android apps simultaneously, you need to first Download BlueStacks 2, which is free. Step 2: Install BlueStacks 2 software on your Windows computer. Step 3: Once installed, you will land on the Welcome Tab. Just Move to 'Android' tab. Step 4: Software will ask you for One-time Google Account Setup, just like an Android device ask for. Step 5: Login with your Google account to complete the Setup and you are ready! Step 6: From 'Android' tab select multiple apps you want to run in parallel. BlueStacks 2 will open each app in a new Tab within the software interface. With the seventh-largest Android user base in the world, Bluestacks has crossed more than 109 Million app downloads, engaging more than 1.1 Billion Android apps every month. 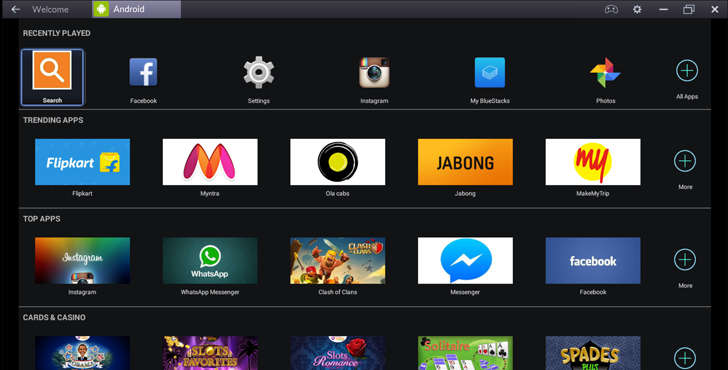 "When we started, mobile apps, with their crisp resolution looked and sounded gorgeous on PC and TV," said Shashi Kant Sharma, Product Manager at BlueStacks. "What we’ve learned is that the wider visual space lends itself more naturally to app discovery. Once someone discovers apps on PC or TV, they tend to use them across all of their devices, giving the BlueStacks platform powerful reach for developers."